Steam locomotive bavarian type D VI of the Königlich Bayerischen Staats-Eisenbahnen. Epoch I. Drive on two axles. Motor with flywheel. Interface according to PluX16 to adapt a digital decoder. Coupler pocket according to NEM 362 standards and close coupling motion link. Dual LED headlights that change with the direction of travel. Replica of the „Stephenson“ control. Many separately applied parts. Prototype: The locomotives of the type D VI were wet steam locomotives of the Bavarian State Railways. The company Maffei delivered the first 30 locomotives between 1880 and 1883. 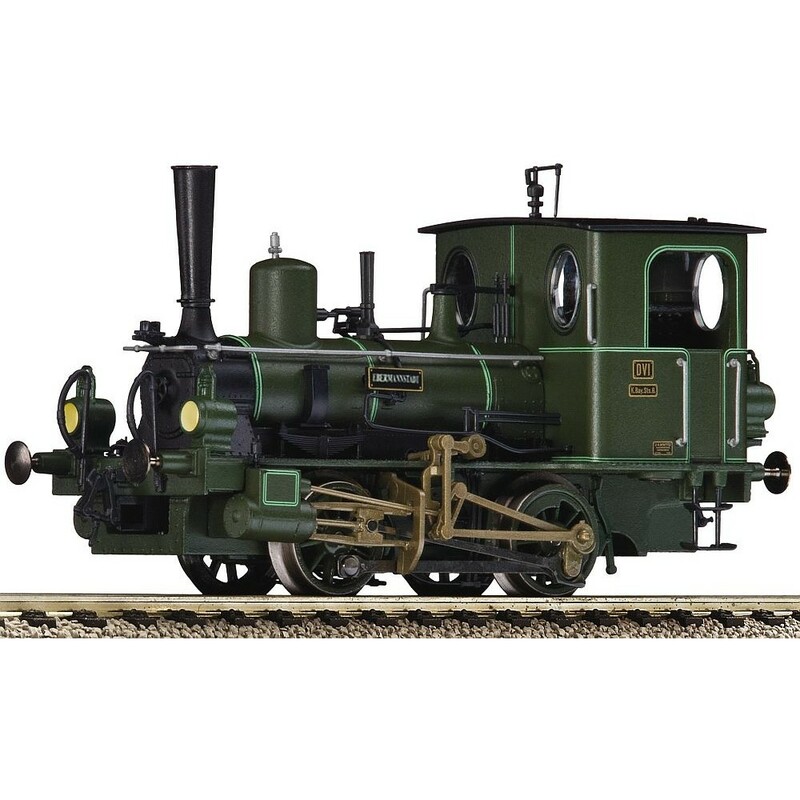 23 locomotives were supplied by the company Krauss until 1894. The Bavarian State Railways used running metal boards and vacuum brakes of the type Hardy on their locomotives for the first time. Some of them also had transitional bridges. The arrangement of the sandboxes under the running board, between the coupling axles, was definitely unusual. The first 44 locomotives had no lateral storage tanks. Water was put in a frame water tank, coal in the driver's cab. The last nine locomotives, on the other hand, had short storage tanks on both sides of the locomotive - more precisely, in front of the driver's cab. This increased the water supply from 1.8 to 2.3 m² and the coal deposit from 0.5 to 0.8 t. In the 1920s some of the D VI were used as ship-bridge locomotives near Speyer and Maximiliansau. In 1925 the DRG again took over 26 locomotives series 98.75, of which five had side storage tanks. They were scrapped until the end of the 1920s and some of them were sold as works locomotives. The former locomotive No. 83 "Berg" (DRG 98 7508) was last used in a turf works in Raubling, Oberbayern, and was decommissioned in 1964. In 1966, it was sold to the DGEG, where it served as a movie locomotive. Now it can be found in the DGEG-Eisenbahnmuseum Neustadt (Weinstraße).